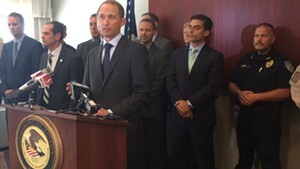 The U.S. Senate confirmed Eric Miller to serve as Vermont's U.S. attorney Wednesday night. Sen. Patrick Leahy (D-Vt.), who nominated Miller, called him one of the state's leading trial attorneys. "I am confident that he will do an outstanding job as the top federal law enforcement officer in the state," Leahy said in a prepared statement. "Before recommending Eric to the president, I consulted prosecutors, defense attorneys, judges, law enforcement officials and civic leaders throughout Vermont. They were unanimous in their support for Eric. I was particularly impressed with his thoughtfulness, vision and depth of experience that he has demonstrated throughout his career." Miller, who has worked at the Burlington law firm Sheehey, Furlong & Behm since 1999, replaces Tristram Coffin, who stepped down to take a job in the private sector. 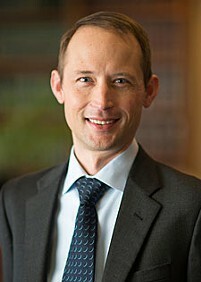 Miller has a law degree from Yale University and an undergraduate degree from Duke University. He is the husband of Gov. Peter Shumlin's former chief of staff, Liz Miller.